On January 19, the 2018 annual ceremony of the Yueyang Chamber of Commerce in Changsha and the Yueyang Investment Project Promotion Meeting were held in Changsha. Deputy Secretary of the CPC Yueyang Municipal Committee and Yueyang Mayor Li Aiwu; and Changsha leaders Tan Xiaoping, Li Wei, Qiu Jixing, and Peng Jiqiu attended. Standing Committee Member and Director of the United Front Work Department of the CPC Changsha Municipal Committee Tan Xiaoping pointed out that Changsha and Yueyang are geographically connected by mountains and rivers, enjoy close personnel exchanges, and are highly complementary in the economic area. 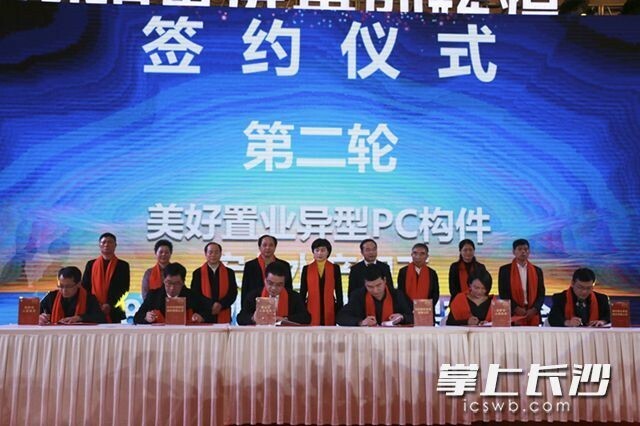 Since its establishment, the Yueyang Chamber of Commerce in Changsha has actively guided member companies to serve Changsha’s economic and social development. “Yueshang” (Yueyang merchants) has become a new force supporting Changsha’s economic construction. 2019 is the “Year of Business Environment Optimization” in Changsha. Changsha will further optimize its business environment and provide services for investors and private entrepreneurs including Yueyang merchants. As a provincial capital, Changsha welcomes more Yueyang entrepreneurs to invest and set up enterprises in Changsha, and guests and merchants from home and abroad to come to Changsha for sightseeing, investment, and entrepreneurship.